NAPLES, FL -- Tell me this hasn�t happened to you. You�re flipping channels, nothing really grabs your attention � then you find the Golf Channel, and you see a product infomercial flashing across the screen. Before your mind sends out the �Oh no!� warning signal along with a quick reflex order to hit the change channel button, you actually start watching the presentation and find it catching your eye. Every one of those little doohickey swing-aids seems interesting, and each one of them (according to the respective spokesman) would be the potential �cure all� for what ails your sickly golf swing. I�ve been there too � and never bit on any of them until I saw the Inside Approach swing-aid on TV. 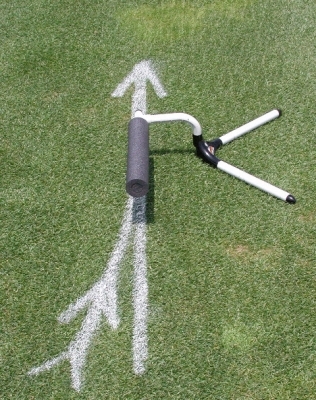 Part of what made the Inside Approach different was because my favorite player of all time, Jack Nicklaus, was there endorsing it and talking about the benefits the mechanism brings to your golf swing (after all, Jack Nicklaus doesn�t need the money, and he wouldn�t promote anything he didn�t believe in, right?). And the other part was� that �thing� really looked like it would work. I almost regretted making the call as soon as I put the phone down � the word �sucker� kept flashing before my eyes -- but now that I�m several weeks into using it, I�ve found the investment and the �chance� I took in calling the 800-number really paid off in a sounder golf swing. The Inside Approach may be constructed primarily of plastic and foam, but it�s worth its weight in gold. Jack Nicklaus demonstrates the perfect swing plane. Delving a bit deeper, it turns out there�s an interesting story behind the product itself, and I also learned a thing or two about how infomercial marketing works. 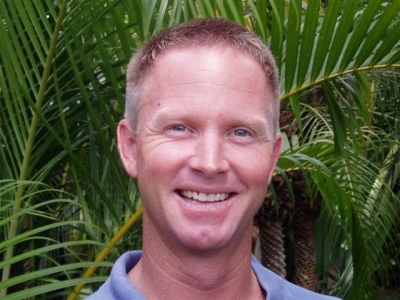 Jim Sowerwine may have invented the Inside Approach down in Florida, but the marketing goes through a firm based in San Luis Obispo, California � CCM Marketing. CCM is headed by two women, Suzy da Silva and Nicole Licata, which makes their success in the male-dominated golf industry even the more remarkable. �I told him I made it, and he immediately thought this gadget could help out a lot more folks than just the ones at our school, so I sent it to a bunch of notable instructors that I�ve been fortunate enough to work with in my career (Jim Flick and Mike Malaska, amongst others) � and they all liked it. So, we went with it from there,� Sowerwine added. 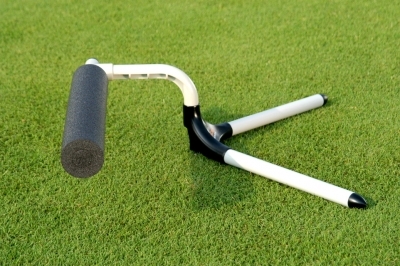 As the images demonstrate, the Inside Approach is basically a few pieces of pipe with a long piece of foam extending in one direction, designed just so you can get your club underneath it � if you�re on the correct swing path. 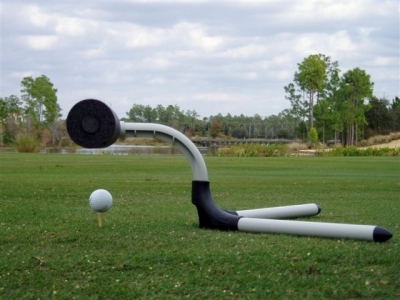 If you�re coming over the top as most golfers do, you�ll hit the foam padding. Hit that foam a few times, and your mind will learn that it�s more productive to go under the darn thing from the inside than keep knocking the padding around. And you won�t injure yourself while learning the correct way to swing � except for maybe your ego. 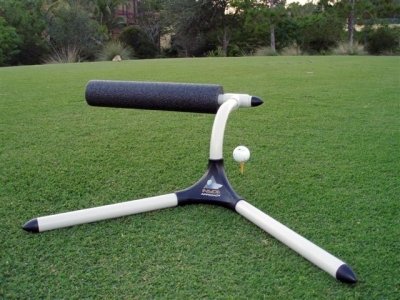 Jim Sowerwine should be smiling -- his invention's one of the most successful in the history of swing aids. That�s not the type of offer you turn down. So Nicklaus shot the infomercial � giving the Inside Approach that little bit of extra credibility along the way. But it doesn�t matter how good the invention is, if no one knows about it. Marketing makes all the difference with products like the Inside Approach. That�s where CCM Marketing came in. It may seem odd that a firm in the relatively small and isolated city of San Luis Obispo in central California could be the key to making or breaking Sowerwine�s Florida inspired swing-saving contraption, but it turned out that way. Direct Response is what you see on the TV screen. It�s the telephone number you call to order the product � hence, the name. That�s why you get those extra �free gifts� if you call within a half hour type things. They�re interested in seeing whether you�ll like the presentation enough to actually call and buy the product � that�s a direct response, and it also gives instant feedback on what�s working. It�s worked with the Inside Approach, that�s for sure. With CCM�s help, Sowerwine�s sold over 60,000 units since last August (2003) � not bad for a company that�d never been known before. Sowerwine made a good decision going with da Silva and her partner, Nicole Licata at CCM. Truth is, they�ve got all the experience to do the job. 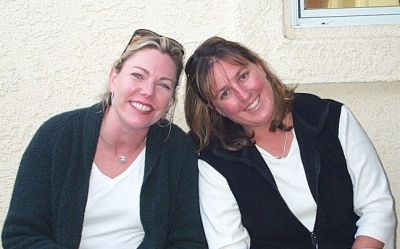 Nicole Licata and Suzy da Silva of CCM Marketing. Sowerwine confirmed Licata�s statement. 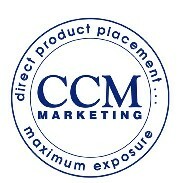 He said he checked around, interviewed a few different firms and asked some industry insiders � and all paths led to CCM. 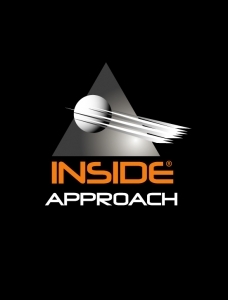 Since Inside Approach already had the product, CCM helped find a telemarketer to take the calls from the infomercial, and also provided some possible fulfillment companies to ship out the products on order. They then worked with the telemarketer to track the actual buys and adjust the time-slots that the infomercial ran based on the sales success of the ads. The information collected from every screening of the ad goes into CCM�s proprietary software, from which da Silva and Licata provide daily progress reports to all their clients � with both the good and bad news (if there is any). That way the offer (the �goodies�) can be manipulated to try and stimulate better sales, or they can try different time slots to run the ads. Each station has a different 800 number, so they can track which time slots are working best. Each tracking report notes how many orders, and how much revenue was made for every single airing. And here you thought it was all so random -- it�s marketing at its scientifically honed best. Be proud that they care enough about you to do it right. Again, marketing aside, the Inside Approach works. As mentioned above, the device is used mostly to help slicers find a path that works � power in the golf swing comes from finding an �inside� path. But, as I found out, it can also work the other way around. I�m one of a small percentage of golfers whose golf swing is too far to the inside � on the takeaway and the approach. According to Sowerwine, Tom Kite was looking for something to help with his problem of taking the club away and approaching the ball from too far to the inside. He found the answer with the �modified� position of the Inside Approach. I did too. 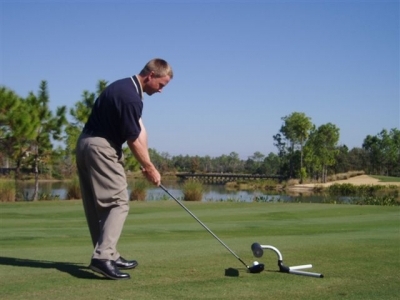 There�s really no substitute for actually consulting a living, breathing golf professional to fine-tune your swing (at least that I�ve found). But swing-aids like the Inside Approach are very helpful, too. And since your golf professional�s not with you at all times, you can still bring the easily portable Inside Approach to help you through those difficult moments. The moral of the story? -- Don�t be afraid to give those infomercial driven products a try. They�re professionally developed, manufactured and marketed, and as demonstrated by our look into the world of CCM Marketing, only the strong survive. Remember that the next time you�ve got an impulse to flip the channel � you just might be turning away something valuable. Note: Inside Approach is now available in most retail outlets that carry swing-aids. Note: CCM also deals with 30 and 60 second ads as well as full-length infomercials.